Currently serving as the President Emeritus, Hilliard is a valuable source of industry knowledge and operational experience. He works with our leadership team by applying our company’s past success to our present, while acting as a resource and sounding board for vital decisions. After all… He is the son of an original Barber Brother and the father of three current company executives. Over many years, Hilliard has performed various roles, wearing many hats for his family’s business. 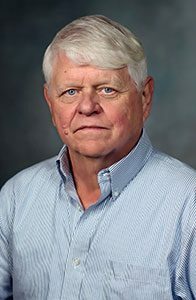 Although he grew up working many jobs in the company, it wasn’t until after graduating LSU and getting married in the 1970’s that he began contributing in a management capacity. 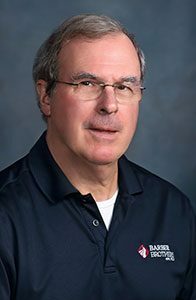 Over the last four decades, he has gone from managing crews, projects, and divisions to serving as the company President, and now as Emeritus. In addition to serving as a daily resource for the next generation of Barber Executives, he performs the role of a special projects estimator in our business development function. His more than 30 years of estimating experience spans a vary important time of growth and development for Barber Brothers Contracting. Lee is a third-generation Barber and serves as the president of the organization. Relying on a lifetime’s worth of industry knowledge and experience, he continues to build the internal and external relationships necessary for consistent long-term growth and company success. Lee is a very hands-on President who splits his time between ensuring the lessons of generations past are being observed by the young professionals who are responsible for our future, while monitoring quality and efficiency of active projects in the field. As with many of the past and present Barber executives, Lee grew up working in the family business, and his goal is to continue and support the company’s Louisiana legacy. He began his career with the company at age 15, and began his full-time employment just a few years later. Having begun his career in construction early helps him to see the company and its work from the perspective of employees at various stages of their career. Over the years, Lee has worked with and for some of the most talented people in our industry and applies his experience as a leader and mentor. 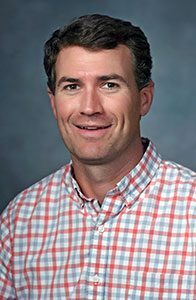 After graduating from LSU, Lee quickly earned the opportunity to supervise increasingly important projects and divisions, and his career progression to the executive group began to take shape. Serving as President for a company started in the 1920’s by his grandfather’s generation requires skills and abilities far beyond anything experienced at any other time in the company’s history. Being able to continue growing the family’s positive reputation in an increasingly competitive industry is important to Lee, and to the next generation of the Barber Family that follows. Doug is a third-generation Barber, dedicated to growing his family’s company by cultivating and expanding the successful vision his family has had since they began building roads in 1928. He is an LSU graduate with a B.A. in Management, and a strong believer in the value of education. Doug leads a strong group of professionals while promoting his beliefs of continuing education and steadfast dedication to hard work. Starting his career as a member of a construction crew and subsequently serving many years in the project management function, Doug has the valuable experience necessary to lead a workforce intent on delivering finished products that match our customer’s high expectations. With a sharp focus on industry trends and necessary technological advancements in corporate and construction environments, he has worked to further develop a structure that allows our company to take on newer and bigger challenges than ever before. As the COO of the company, Doug’s duties require him to implement the vision of the executive group by continuing to grow the alignment of the corporate structure and services with the strategic direction of the construction and plant divisions. Gathering and using relevant internal and external market data to deliver timely information is what Doug thinks is the key to maintaining the company’s highest level of quality and efficient productivity for generations to come. After graduating from LSU in 2004, Andy started with Barber Brothers not long afterward. In his first years with the company, Andy cut his teeth by working in the field on projects ranging from airport taxiways to neighborhood streets. 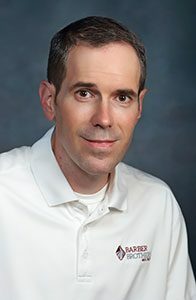 Since that time, as our asphalt plant operations have expanded across South Louisiana, Andy focused on running our Quality Control Division and now oversees all plant operations. Quality construction materials, plant safety and operations efficiency are vital to everything Barber Brothers Contracting is known for, and Andy has been the steady hand behind the success of this area. He is married with two children, involved in his community, and resides in the Baton Rouge area. Ben joined our team in 2017 to launch and lead our New Orleans Construction Division. Once on board, Ben worked quickly, along with executive management, to achieve the organization’s goal of establishing and scaling-up a permanent construction division in this vital geographic area. Expansion into the Greater New Orleans Area provides a great opportunity to combine Ben’s diverse experience with an industry-leading workforce. This dynamic combination ensures our company has the confidence and ability to meet client needs on fast-paced and challenging projects. Ben brings nearly two decades of industry experience in various types of civil and industrial construction projects, including: asphalt and concrete paving, earthwork, utilities and demo work. His ability to recruit, hire, and lead a talented multifaceted workforce is important to our company’s ability to provide quality results to our clients in the greater New Orleans area. His daily responsibilities include: managing a workforce responsible for all aspects of each project, including: estimating, budgeting, scheduling, negotiation of contracts, and enforcement of contractual provisions from pre-bid to warranty. His successful career is evidence of his passion for the industry that includes long-lasting and mutually beneficial relationships created and maintained with both industry professionals and clients. Ben received his Bachelor of Science Degree from LSU in Construction Management. 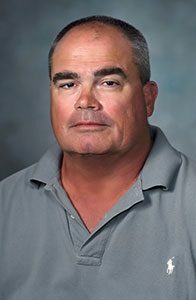 He enjoys spending time with family, being a volunteer coach at a local middle school, and can usually be found in Tiger Stadium on Saturdays in the Fall, rooting for his beloved alma mater, the LSU Tigers. Darren joined our organization as an Estimator in 2014 after having worked in the New Orleans market for over a decade. He brought with him extremely valuable industry experience as both a Project Manager and Estimator on large civil government and private projects. Born and raised in New Orleans, Darren is a graduate of Jesuit High School and subsequently graded with a B.S. in Construction Management from LSU. Darren immediately added new energy to our company’s experienced estimating team, and he quickly became a go-to professional for all of our pre-bid needs. Understanding the project management position provides our estimating department a competitive advantage on the various types of projects we have. Darren was promoted to the V.P. of Construction for the Baton Rouge Division in 2017, and he began to oversee operations while retaining his estimating duties. His ability to thrive under pressure while keeping everyone focused on the task at hand is paying off for a division that is growing rapidly and working projects faster and more efficiently than ever before. Darren’s energetic approach and attention to detail is vital to our company’s positive trajectory. Louis is an executive working in our organization’s estimating department. As a senior member of an experienced new business development team, he is often tasked with being the subject matter expert on potentially complex projects. For four decades, Louis has been a in a position that affects all aspects of company’s construction efforts. He has been around long enough to see the industry change and has always been an advocate of the changes necessary to adapt. He credits not have to specialize in one function of the company with his ability to maintain his longevity. While his experience and expertise are a valuable asset, his reputation and relationships within the industry is irreplaceable. Other than his office mates who share the same last name as the company founders, his name is synonymous with Barber Brothers Contracting. 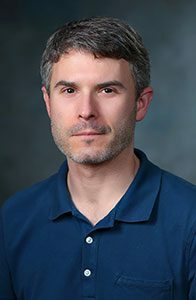 A Civil Engineering graduate from Louisiana State University, he spent eight years working as a project engineer for the state. In the late 70s, he joined Barber Brothers as an estimator and has been in the same chair ever since. Like his brothers and the two generations of Barbers that came before him, Chris has found a niche and his passion working in the family business. 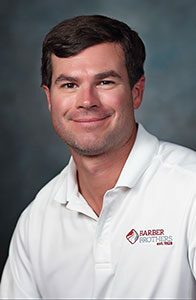 During his tenure at Barber Brothers Contracting, his career progression gravitated towards the technological and financial aspects of the commercial construction business. After earning a Degree in Finance from LSU, Chris applied his knowledge and talents to the financial and economic functions of our company, and quickly developed a keen instinct for the details and variables involved in these aspects of the company’s projects. 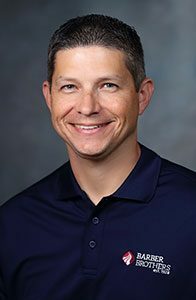 He currently oversees and manages the Project Accounting Department that serves as the internal control for all construction, plant, and equipment operations. His professional knowledge and experience with corporate finance serve him well in a role where he works directly with project management and each department head to facilitate the accuracy and timeliness of information flow. Additionally, Chris serves the vital role of researching, developing and implementing new technology and efficient processes throughout all corporate services functions.